On many levels, stock trading is all about being positive – positive about the market and your own strategies. Sadly, even with this being an important key for success, many new traders not only are devoid of it but they also completely overlook this aspect. Sitting on the edge of their seats, sweating, watching news, panicking on market’s every move – many treat stock trading as a gamble. And needless to say, majority of these individuals fail to create a high – rewarding and sustainable stock portfolio. If you’re serious about making money from trading, it should never be qualified as something part – time. The path ahead is long. Not only you must be serious but also love what you’re doing. Patience is an crucial to become a successful trader. You must have a data-driven strategy and then the patience to let the market take shape in accordance to your expectations. Acting emotionally is one the biggest mistakes of traders. You must known to stop loss, sell and move ahead. Never sink with the ship. Regardless the amount of time and energy you put into developing a strategy, you can never have it perfect. There will be loopholes that can only be fixed over the course when the strategy is in effect. Take any successful trader for example and they all have well-defined risk management strategy. They know how to counter losses the right way. So you might have heard countless argument against it by “experts” but, even decades after, price action analysis remains untouchable and single most important ingredient in trading success. Follow the tips and general rules but never try to copy the whole case study that of successful traders. You’re different from them! Map your own distinct strategies that match your individual needs, requirements, preferences and risk consuming ability. 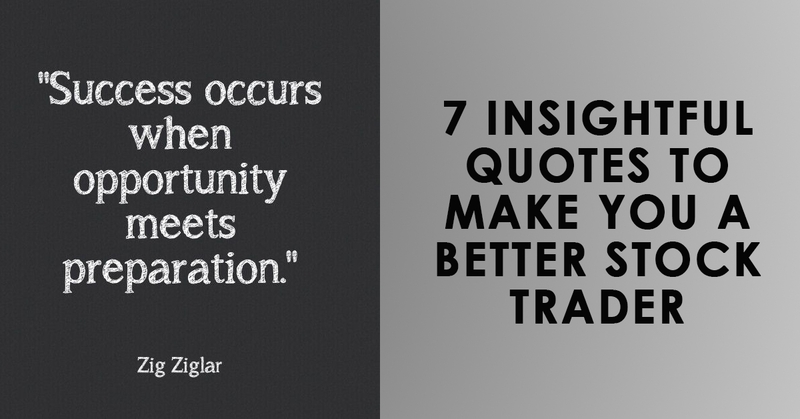 These are 7 inspiring and insightful quotes from successful traders themselves to guide the new market players to trade efficiently and earn better. Good luck!